Xtreme kneepads from Haron bounce back. THAT most OHS injuries below the waist are knee-related will come as no surprise to anyone who has worked kneeling for any length of time. 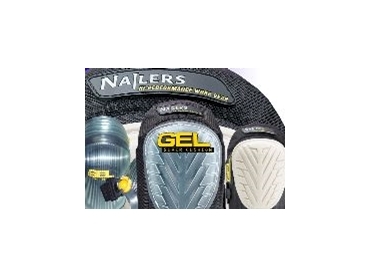 Nailers Xtreme Series tackles the problem with a range of kneepads unique in the Australian market, according to distributor, Haron International . The key difference is a Gel SuperCushion, which always bounces back, unlike the foam in traditional kneepads. Nailers Extreme series knee pads will be featured at The Safety Show, Sydney, running from 26 - 28 October. On display will be the G1, which allows the wearer to swivel and slide in hard and hostile terrain, the G2, which provides more grip and is ideal for roofing, flooring tiling, yard and garden, and the G3, which provides maximum durability and is washable, ideal for working in mud and concrete. The CapXChange provides the option of removing the protective cap when working on delicate surfaces and all the products are designed for maximum comfort and protection. To try the Xtreme knee pads for yourself, visit stand I32 at The Safety Show, Sydney, which runs from 26-28 October at the Sydney Showground, Sydney Olympic Park.